This week I'm loving taking advantage of everything San Francisco has to offer in the month of August (rosé, avocado toast, stone fruit, oh my! ), a fantastic dinner with new friends, and lots of beautiful bits from around the internet. Some of my favorites are below! Such a sucker for a pretty brunch wedding. This vineyard fête is absolutely lovely. These two look like people you want to hang out with, and their wedding was equally welcoming. Crushing on this chic LA celebration. 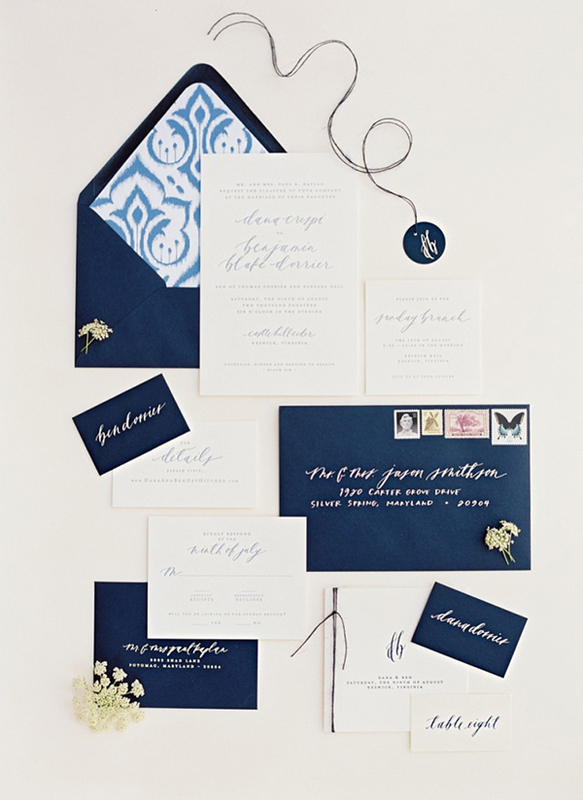 Image by Jodi Miller, navy and white suite by Brown Linen Design. 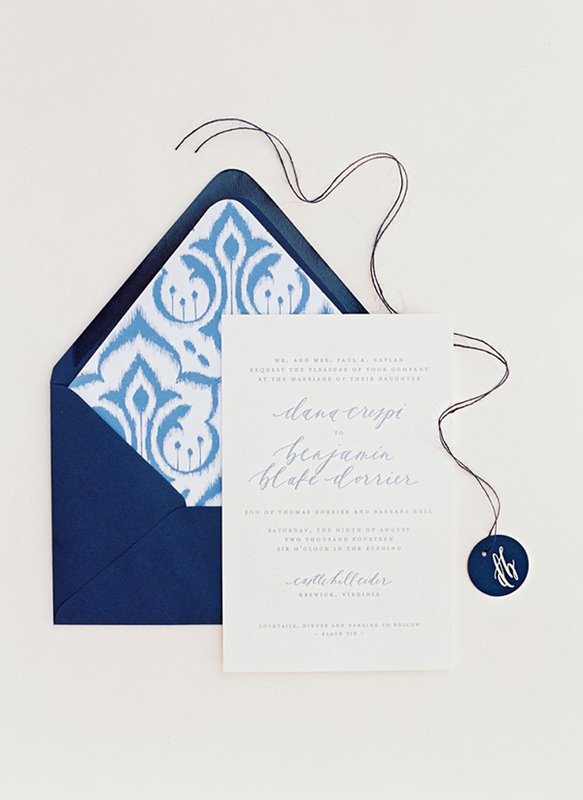 I love Ikat and the details in that envelope are everything. Such a cool feature! The insert is what takes it to the top! Such a sharp touch!